A coroner will raise his concerns about weekend staffing levels at a hospital following the death of a grandmother-of-nine after a routine hernia operation. 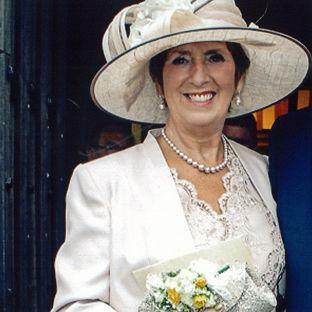 Margaret Gleeson, 70, died on a Sunday just two days after being admitted to Wigan’s Royal Albert Edward Infirmary. An inquest into her death was told that weekend staffing was a concern with a consultant surgeon admitting he could not give the same attention to patients. One on-call medical team was being asked to do the job of four teams with emergency admissions taking priority and leading to delayed and shorter medical reviews of elective cases, Bolton Coroner’s Court was told. Widow Mrs Gleeson, a stewardess at her local bridge club, was described by her family as “a fit and active woman” before she went into hospital on October 2 last year. The surgery was initially thought to have been a success but Mrs Gleeson’s condition began to deteriorate the day following the operation and doctors found that tissue in the bowel had been torn – described as “a rare complication”. The court heard an ‘early warning score’ used by medics to establish the risk to a patient’s health had earlier been incorrectly recorded. Coroner Simon Jones concluded that Mrs Gleeson, of Swinley, Wigan, died of cardiac arrest suffered when she was anaesthetised for surgery to repair damage from the initial operation.